We currently have advertising space for dental brokers that cover California. Standard entry is FREE OF CHARGE. 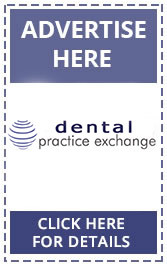 Increase the profile of your dental practice for free today! Please use the Contact form to enquire about getting your brokerage business listed in our California dental brokerage directory. The 'Find a Broker' search utility on our site offers a useful tool that enables visitors to browse dental brokers by State. Please note that you must be registered and licensed to act as a dental broker in the State of California. Our platform provides dental brokers with an opportunity to raise the profile of their business and to connect directly with dentists and practice owners across the United States. If you are interested in dental practices for sale in California then please sign up for our free email alert service. Our objective is to provide the most complete and up to date list of dental practices for sale in California. If you are interested in advertising the sale of your dental practice then please create a free account on our site. Dental Practice Exchange - the definitive source of dental practices for sale in California as well as across the United States.